Coming from a farming background, Roger understands the challenges that need to be met on-farm at different times of the year. 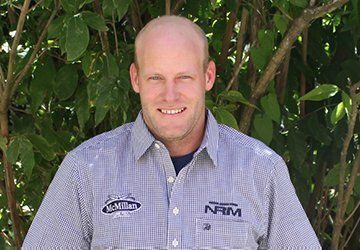 He grew up on a dairy farm and completed a Certificate in Agriculture at Taratahi in Masterton. Roger went on to manage a dairy farm and then spent 8 years contract milking before joining the NRM team. He enjoys monitoring production and tailoring feeds to suit individual farm requirements – then seeing the results in the vat. When not out on-farm, you will find Roger at the speedway or out on the lake.